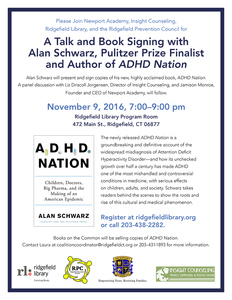 ADHD Nation by Alan Schwarz: A Talk and book signing at the Ridgefield Library on November 9th, 2016 7:00-9:00 PM. 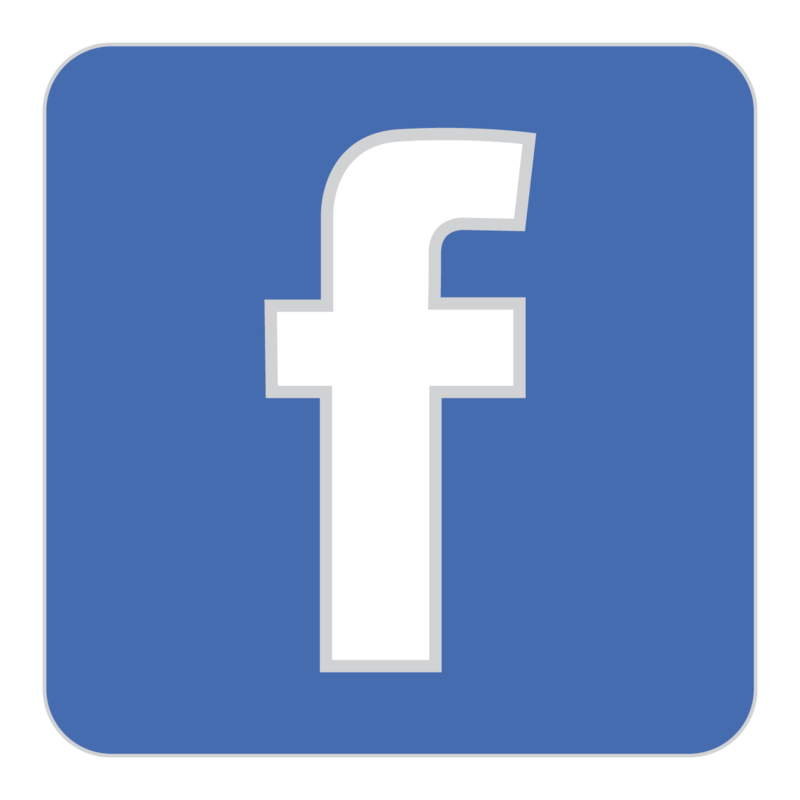 Ridgefield Library Program Room, 472 Main St.
Alan Schwarz will speak about his highly acclaimed book, ADHD Nation, followed by a panel discussion with the author, Jamison Monroe, Founder of Newport Academy, and Liz Driscoll Jorgensen, owner of Insight Counseling. More than 1 in 7 American children get diagnosed with Attention Deficit Hyperactivity Disorder. The newly released ADHD Nation is a groundbreaking and definitive account of the widespread misdiagnosis of ADHD. Alan Schwarz takes readers behind the scenes to show the roots and rise of this cultural and medical phenomenon, and how its unchecked growth over half a century has made ADHD one of the most mishandled and controversial conditions in medicine. While demonstrating that ADHD is real and can be medicated when appropriate, Schwarz sounds a long-overdue alarm and urges America to address this growing national health crisis. This free program is sponsored by the Ridgefield Library, Ridgefield Prevention Council, Insight Counseling and Newport Academy. Register through the Ridgefield Library www.ridgefieldlibary.org (203) 438-2282. Books on the Common will be selling copies of ADHD Nation.